As film increasingly becomes an isolating medium, it is through television – with its numerous channels and multiple platforms for viewing – that audiences can find actual characters, people with compelling stories that speak to the dark, the somber, the beautiful, and the lovely aspects of what it means to be human. But despite the power and desire to experiment, most television show creators still rely on the same gendered and racial structures that inform and manipulate the mainstream. Audiences find mostly narratives presented through the perspective of white leads (and most often, white male leads), even if people of color are prominent characters or the basis of the show’s plot. 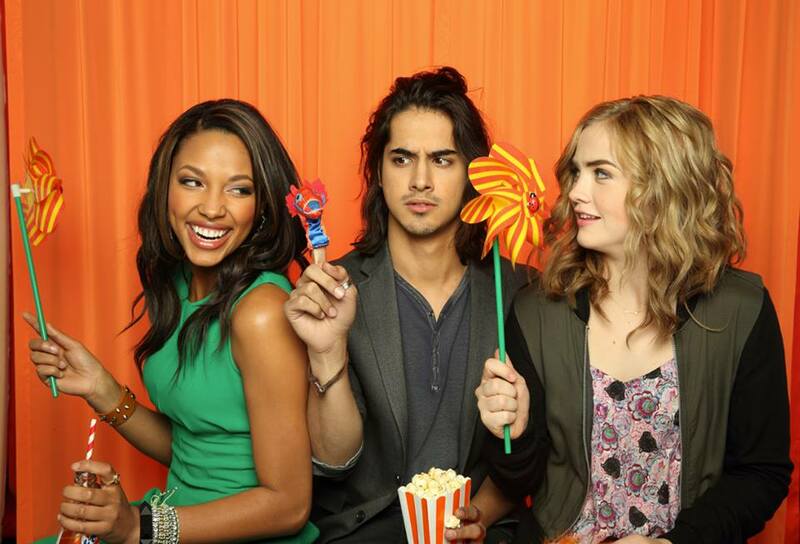 The ABC Family teen show Twisted is a murder mystery structured around three leads: Danny Desai, the prime suspect; Lacey Porter, one of Desai’s childhood best friends and the most popular girl in school; and Jo Masterson, Desai’s other childhood best friend and a social outcast. The show begins on Desai’s first day back at school after spending five years in a juvenile detention center for killing his aunt. Desai begins to assimilate with his old friends and within his new school, but is once again the town pariah when a fellow classmate winds up dead the next day. Although the show is about the mystery and whether or not Danny committed the crime, the creators of the program frame the narrative around Jo. Precious screen time is wasted on conversations between Jo and her parents, or Jo and her best friend Rico. Instead, the show should focus on (and is greatly lacking without) its initial premise: whodunit? As of this week’s episode, the show’s creators have yet to offer a reason the show must focus on Jo. However, looking at the cast may answer the question. Danny is half-Indian with distinctly dark features. Lacey is black. Jo is blonde and white. By focusing on Jo, the show not only does its two other main characters a disservice, it does its audience a disservice. I was drawn to the show because of the murder mystery. Taking time away from that core plot element reduces the show to a whiny drama about how one girl handles her life. As a structure, it&apos;s not compelling and risks turning off viewers. From a business sense, it makes some sense. If ABC Family knows that shows with a white female leads do well in ratings, it only makes sense for them to continue to pursue this storytelling structure. However, it is disingenuous to present a show about three people and spend the largest amount of time focused on one. In a recent NPR interview, Jenji Kohan, the creator of Orange is the New Black confirmed the idea that her show about the rich characters within and the culture of a women’s prison could not sell without a white woman as the protagonist. On the show, Piper is sent to prison for her minor role in a drug conspiracy. Especially during the first episodes of the show, the prison is seen through Piper’s eyes. Although this is understandable based on the show’s memoir source material, it becomes evident as the show progresses that the most compelling characters and stories have little, if anything, to do with Piper. In a lot of ways Piper was my Trojan Horse. You&apos;re not going to go into a network and sell a show on really fascinating tales of black women, and Latina women, and old women and criminals. But if you take this white girl, this sort of fish out of water, and you follow her in, you can then expand your world and tell all of those other stories. But it&apos;s a hard sell to just go in and try to sell those stories initially. The girl next door, the cool blonde, is a very easy access point, and it&apos;s relatable for a lot of audiences and a lot of networks looking for a certain demographic. It&apos;s useful. Unlike most creators, Kohan has acknowledged this structure and how she had to simply work within it in the beginning in order to tell the stories that could never “sell” on their own. Whiteness is the neutral storyteller. Through the prism of whiteness, creators can focus on people of color. Orange is the New Black and Twisted are not part of a new trend. Rather, they are merely new shows to add to a long list of shows that have employed this same technique. It is important then to recognize the significance of Issa Rae’s (creator of The Misadventures of Awkward Black Girl) recent development deal with HBO. In partnership with Larry Wilmore, Rae would write, produce, and star in a show. As a black woman, a black creator, this sort of creative freedom is unparalleled on television period, let alone a premium cable network as prestigious as HBO. Although no show has been ordered for a series run or even to pilot, this news is hopeful in what it says is possible: creators of color can tell their own stories through their own eyes. Britt Julious is the co-host of WBEZ&apos;s Changing Channels, a podcast about the state of television. She also writes about culture in and outside of Chicago. Follow Britt&apos;s essays for WBEZ&apos;s Tumblr or on Twitter @britticisms.